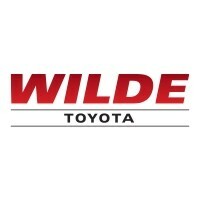 Wilde Toyota serves Milwaukee Toyota owners who place a premium on value, selection and service. Their complete satisfaction and favorable referrals have made Wilde Toyota Milwaukee’s #1 volume Toyota dealer and top 25 Toyota Certified Used Vehicles dealer*. In our pursuit of excellence, we consistently earn Toyota’s highest honors. These distinctions are more than cause for pride in Wilde Toyota’s achievements. They are the foundation that drive customer satisfaction. 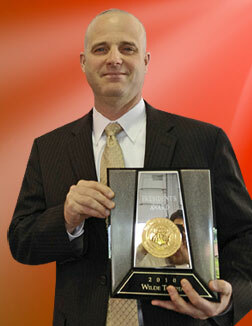 Thanks to our customers, we consistently receive the Toyota President’s Award year after year. It’s one of the highest honors for a Toyota dealership. The award is a symbol of our continuing dedication to satisfying our customers — from the day that your buy a Toyota for as long as you own it. Toyota dealerships strive to match the quality of our products with the finest service in the industry. In order to qualify as a President’s Award winner, dealerships must excel in each of a series of categories, including Customer Sales Satisfaction and Customer Service Satisfaction. Each year, an elite group of individuals are honored by Toyota Motor Sales for all their sales success, hard work and dedication with the Board of Governors designation. This elite group understands that a successful business is built by keeping customers happy. To be considered for the Board of Governors award, a dealership must be among the top 60 dealers in non-fleet vehicle sales volume, must be in operation for the entire year, plus numerous other requirements. These high standards ensure that a Board of Governors dealer is committed to your customer satisfaction. The Toyota Customer Service Advisory Board recognizes the top 50 Toyota dealerships nationwide for their excellence in their service and parts departments. Membership on this exclusive board is based on achievement in service and parts sales performance and customer service satisfaction. This award is presented annually to dealerships that have demonstrated a commitment to maintaining Toyota’s highest standards for customer satisfaction. In order to qualify for the Customer Relations Excellence Award, dealerships must excel in a series of categories focused on increasing customer satisfaction with both the sales and service of their Toyota vehicle. Toyota honors dealerships who provide their valued customers with superior performance in the areas of Service. Toyota honors dealerships who provide their valued customers with superior performance in the areas of Parts.